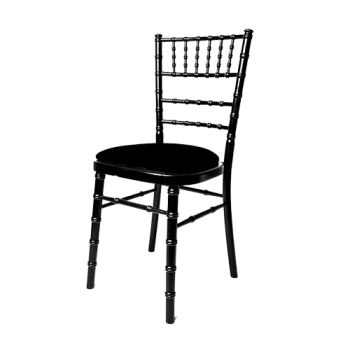 Black chiavari chairs look fantastic with either an ivory or black seatpad. 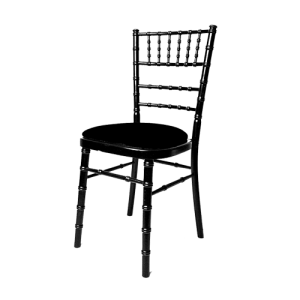 The black frame looks great in modern venues and these chairs are ideal for conferences, weddings and parties. When ordering this chair you can choose from a range of different seatpad colours.